Hello there! 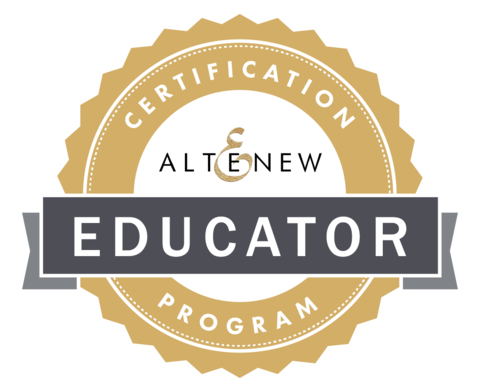 I am back today with my assignment for my Final Challenge for the Altenew Educator Level II classes. 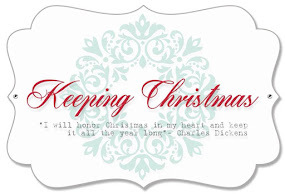 My assignment was to create a Home Decor project with a matching Card or Gift Tag in any theme. Being the Christmas Season, I wanted to make another of the angels like I did for the November 2018 Keeping Christmas Blog Hop. That project was a silver angel and with this project, I made a gold angel. So while I was looking through Pinterest, trying to decide what I wanted to do for my project, I came across these sweet little Angels made from books and I knew I wanted to try one. While I was at it, I picked up a few more books from my Dollar Tree Store to make a couple more angels for my best friend and also one for myself. The folding process is the same for all of them so I will add a few pictures here for you and tell you what I did differently from the first one that I made. Practice makes perfect as they say. Depending on the type of book you use, you may want to remove the front and back cover. I ended up doing that for all of mine. This made it a bit easier to work with. A few things that I learned during this process are that older books are harder to work with because the pages become brittle and often break off on the corners. Most of the projects I saw used 150 pages, but I felt I could make the angels easier keeping to between 75 - 100 pages. It's still a lot of folding, but it goes pretty fast, especially if you use your Teflon bone folder. First, you want to fold the page in as shown in the first two photos above so that you end up with this conical shape. Because I wanted my bottom to be completely flat, I also turned up the bottom corner so that the base would be flat. 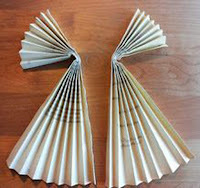 Do the same thing to each page until you have 75 pages which will be 150 sides. You can use more pages if you want a fuller "skirt". 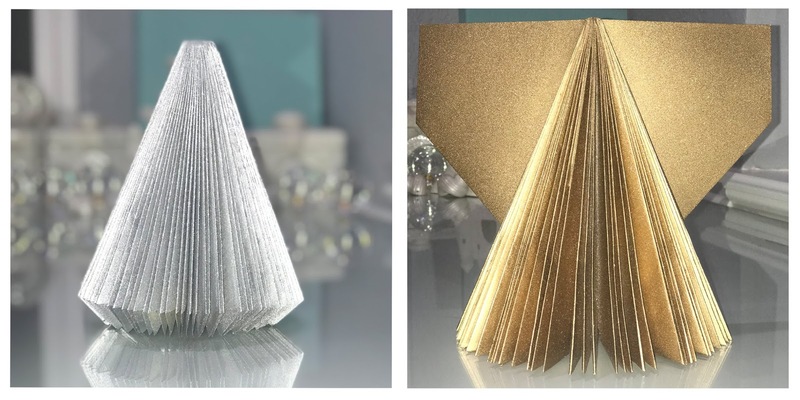 Because I was making an angel, I opted to do the additional fold as pictured in the third photo where you also fold up the bottom corner, making it completely flat on the bottom. This also helps to thicken up that area which is especially important if you are using an older book that has brittle pages. For today's project, I used a new book that I got at Dollar Tree so it was easier to fold and the pages were not brittle and falling apart. Now you are ready to spray paint your Angel. This can also become a Christmas Tree if you would prefer that or want something a little simpler to do. It would definitely require more pages than the angel does because you want that fullness all the way around. The angels' backs lay open to attach the wings, so it takes fewer pages. I wanted to show you the paint and how it looks once it's dry so here are two more that are waiting to be finished. The one on the left is done in Silver Spray Paint (I like Krylon) and Glitter Dust Spray while the one on the right is done in Gold Spray Paint with Glitter Dust Spray. For the one on the right, I am planning to remove the wings to replace with the folded paper ones, or I am going to use an Edger's Style die to draw a scalloped line across the top and cut them freehand. I don't normally use flash in my photos but it's 5 a.m. and I really wanted you to see how beautiful and sparkly these are with the glitter dust added. 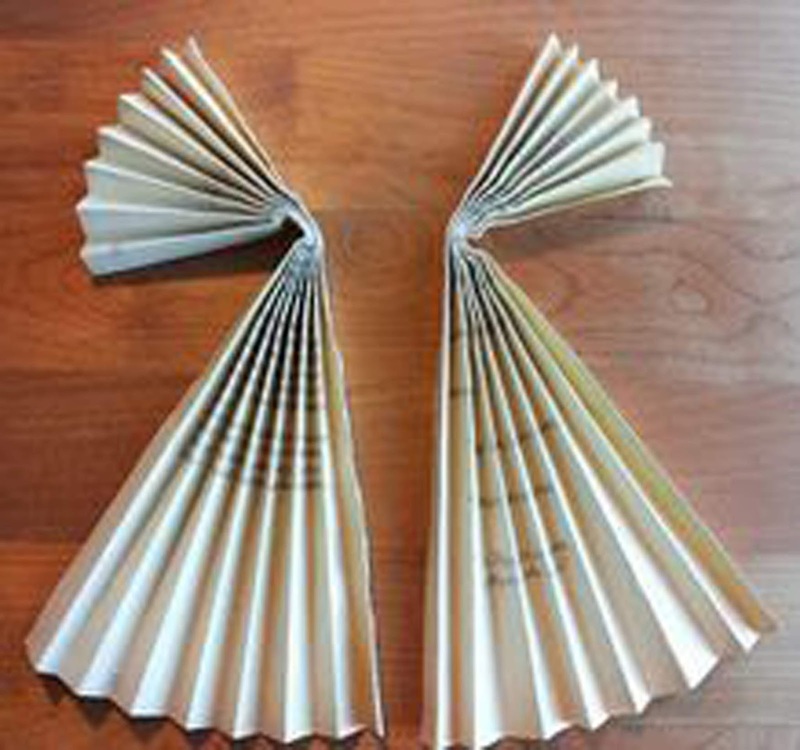 Now you are ready to score and accordion fold your 12 x 12 paper for the wings. I scored every ½ inch and then bending in the center, put the two sides together with Scor-Tape to form the wings. Next, you want to prepare your angels head and halo. While I was at the Dollar Tree store, I found some much thicker wire for my halo that I knew would work better for the size of books I was planning so I picked up some in gold. Just because it is gold doesn't mean it will be the same gold as everything else you are using, so I planned to spray paint mine with the same paint that I used for the angel. The easiest way I've found to create my Halo is to snip off a length of the wire (using the same snips as you do to cut dies apart). Put an upside-down bottle of Embossing Powder on your work surface and pull the two ends around like this. If you have a smaller book and smaller head, use one of the WOW! smaller embossing powder jars. Once that part is nice and secure, keep wrapping the wire around itself. You want a pretty good length on the "stem" as you will be tucking that in between the angel's head/body and the wings. I have some small, very inexpensive glittery ornaments that I am using for the heads. Styrofoam ones actually work best if you can find some. I got some a few years ago from Hobby Lobby for a small Fiber Optic Christmas Tree that we had and I've been pilfering them from that. I also got some small ones at Walmart the other day but they are plastic and don't work as well. The particular one that I am using for today's is plastic and you can't cut those in half with any tools that I have, so Styrofoam is easier. Plus, our electric carving knife cuts right through those. Even in the rest of the house, I love finding additional purposes for a tool. It's one of the things that we crafters do best! Tuck the ornament into the center spine area with a little hot glue and the hanger side down to make the head. Tie a length of ribbon around the neck to hide where the gluing might show. Then, using some hot glue, position your halo and hold it in place while it dries. It has to have enough height to be over the head rather than resting on top of the head. The back side of your Angel should look something like this. The front of your angel should be something along these lines. I wish I could capture the sparkly goodness of her! She is so pretty! I also wanted to show that you could make some simpler versions if you want to make an ornament using similar methods. I took a 6 x 12 sheet of iridescent vellum and cut it in half to have two 6 x 6 pieces. I sprayed it with some gold shimmer mist and let it dry. Then I scored each piece with half inch score lines and creased them well with my bone folder. You should have something that looks like this when you are finished. Of course, mine is made from Vellum, so it isn't the same paper but you get the idea. On the longer edge, put a ¼ inch piece of score tap all the way down and adhere the two pieces together for the "skirt". Then on the underside of the wings, place another piece of Scor-Tape on each side where the arrows are pointing. Then press those against the skirt to form wings. I took my ornament one step further by also attaching at the top to form a different kind of halo. I drew a little face making the "0" with its mouth so it looks like it's singing. I got that idea from back in the day when Paper Dolls were popular in scrapbooking. Somewhere, I have some stamps that make these little faces, but I'll have to dig them up for future ornaments. The little pearls across the forehead also form a type of halo so just play around with what you have on hand and see what you can come up with. I also added some blush to the cheeks with chalks that I have from back at the same time. Then I decided I wanted to create my own patterned paper with heat embossing to make another little angel face ornament. So using the Altenew Pattern Play Diamonds Stamp Set, I stamped with Versamark onto thin pearlescent gold vellum. I thought it would be interesting to create the pattern going horizontally, rather than vertically. Still, I kept it very simple and just added a bit of Glitter Dust to the sheer ribbon. Mostly, this really helps with keeping the ends of the ribbon clean. Fray Check also works very well for this purpose as most seamstresses know. I definitely need to find my little face stamps or get a whole lot better at drawing angel faces. *Ü* I used a little pom-pom ball to touch to the ink cube for the little bit of color on the cheeks. I really like the way this little Choir Angel turned out. 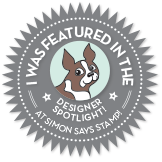 You could add gems, pearls or Nuvo drops at each intersection of the pattern, but I like the more subtle look of tone on tone heat embossing here. 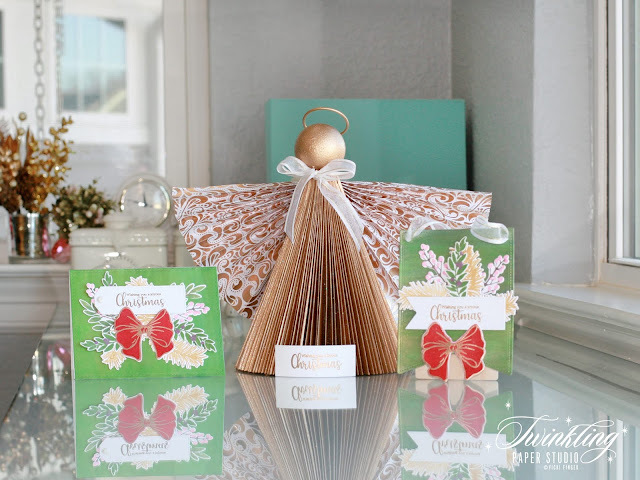 For the card and gift tag portion of this post, I finally got a chance to play with my Holiday Bow Stamps and Dies. These layers are so easy to line up! Because I wanted to add some touches of gold to this part of my project, I decided to stamp the Pine Boughs in Delicata Golden Glitz Ink. Even though I was using all pretty saturated colors of red, it was still super easy to line up each of the three layers. For the bow, I stamped the outline first in Ruby Red, then Vineyard Berry for the detail stamp and Heartbeat for the most solid image. I wanted a vibrant Christmas Red and you can see that I got that but I decided to add the outline in Antique Gold Embossing Powder. That way it tied into my other projects better. I planned to use two of the many brushstroke backgrounds I made a few weeks ago and I talked about how to do in THIS POST. Watercolor Brushstroke Backgrounds are very easy to make. Just get a small container and mix a small amount of Gold Watercolor with a few drops of re-inker in the colors you want. Add a few drops of water or clear shimmer mist (or both) until you have the color concentration that you want. I love rich color so I had a lot of that style and only a few in the lighter tones. I typically use 2-3 colors of reinker and you'll want to use analogous colors so you don't get muddy brown. Using a super smooth heavyweight cardstock is essential to this style of background. I used Neenah Solar White for the Green ones I made today. I also really like these because they have a lot of texture in them. Use the cheapest, crummiest brush you can find for these. The more uneven the bristles, the better the texture. Here are a few more of the ones I've already created. This is one time you do not want solid coverage. Also, when creating these and be sure to let them dry in between the layers just as you would for any kind of watercolor. It is very hard to tell what the color will really look like until each layer dries. You can do your brush strokes Vertically or Horizontally. My card and tag use one of each. When I first tried this technique, I was a bit heavy-handed with the gold ('cause you know how much I love Metallic Gold) and so I learned that it takes very little of the Gold Watercolor but more water and re-inker to get a nice blend of color. You can make several while you have your supplies out and save them for later. I still have a nice stack. Making sure my image was dry and using a liberal amount of powder, I put the outline stamp back in place and double stamped and double heat embossed the outline of the bow. I finished stamping all of the greenery and other elements I wanted, making sure I had plenty of pieces to work with. 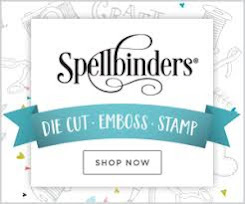 The Pocket Banner Die from Altenew is high on my wishlist and I would have preferred that shape but I worked with what I had which happens to be a banner die from Lawn Fawn. 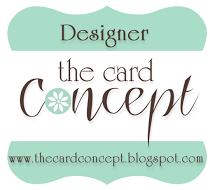 I always loosely arrange my elements to get an idea of what I'll be using to make the card. By doing this, I was able to see that I had enough extra pieces to make a tag. Since I still have lots of brushstroke backgrounds, I decided to use one for the tag as well. Once I had a loose formation of my arrangement, I grabbed my 4.25 x 5.5 inch background panel and started transferring my arrangement to that. Once I finished that, I put a piece of Press 'N Seal on top and smoothed it down. That allows me to pick it up and keep everything where I want it by adding the adhesive to the backside one layer at a time. For the very bottom layer, I used 1/8 inch Scor-Tape for the very bottom layer which was the 2 branches with the pink berries on it. Next came the two laurel type branches (no berries) and I used skinny strips of Foam Tape for those. Then came the 3 other branches that have berries stamped in Deep Iris. The greens I used are Hunter Green with a bit of Evergreen sponged in at the base of each leaf. I love the variegated look this gives. Then we got to the golden pine boughs which I used regular tape runner on. For the red bow, I again used a couple of skinny strips of Foam Tape to elevate it slightly from the rest of the arrangement. And here you have it — a Home decor project with a card and a tag plus a little ornament snuck in there if you want or need it. Thank you so much for stopping by today to see my project. I had a heck of a time trying to get the lighting right for these photos. I wish I had a wider angle lens, but since I normally only make cards or something that size, I'll live with this one for the time being. What an AWESOME tutorial, Vicki! 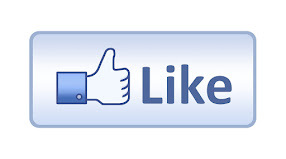 Your detailed descriptions and photo process are informative and precise! We can always refer this post as great guide of a "how-to" tutorial. I am so happy that you have progressed so much in the last couple of months. Your techniques and skills really show through in your card/tag and 3-D Angel project. 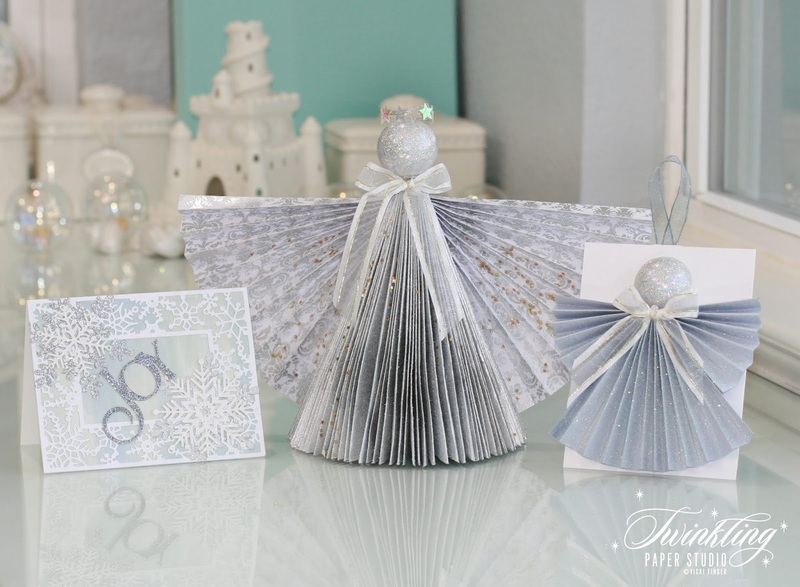 I love the stamping of the pattern paper which you created for the angel. The paper-folding is eye-opening to see. 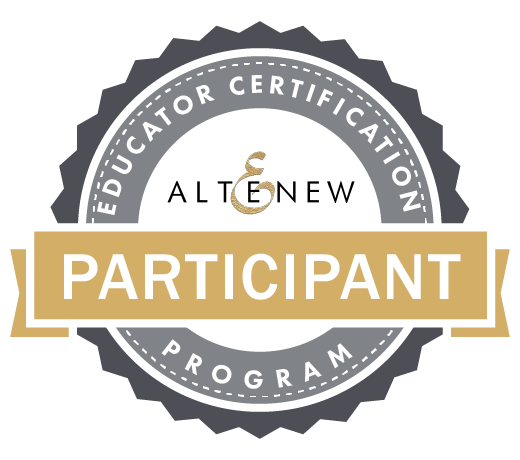 I am so glad that you enter your beautiful work in Altenew AECP assignment Gallery.